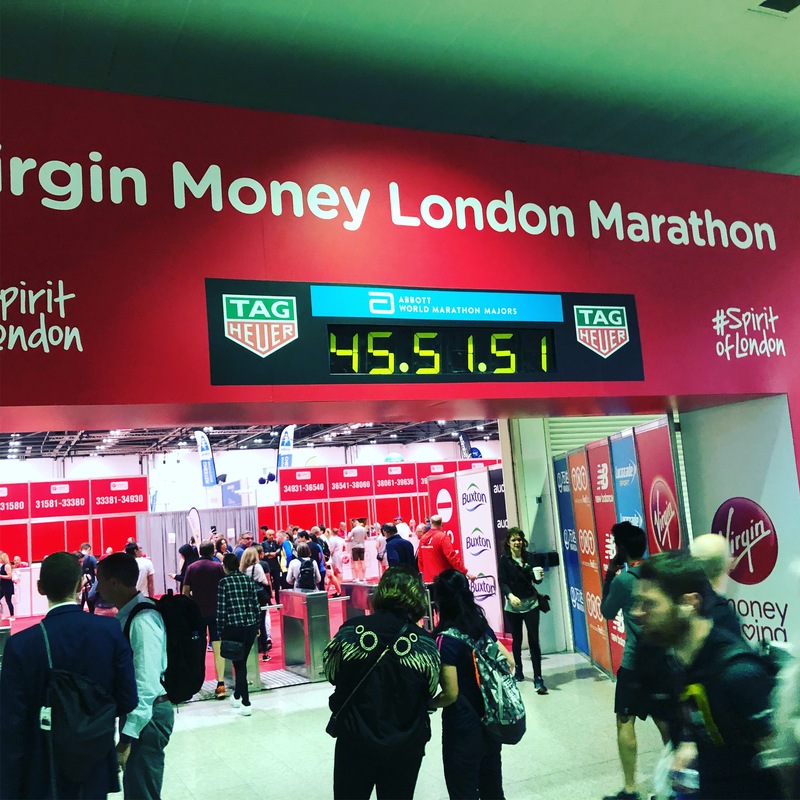 So marathon two out of the three marathon challenge and The 2018 London Marathon. Here is the diary of events. Mad to think that summer 2017 was spent with an achilles injury and when The London Marathon ballot paper dropped I went running for the first time in ages and it was on October 11th I limped around Aigburth doing a 3 mile run. Even worse was when the post chrimbo scales of injustice weighed in at 18st 7. Jesus there was some work to be done to just even get to the start line. But I can be a determined little person (I was going to swear then) and with hard work and dedication which included most of the training period being free of white bread and alcohol (Which was if anything harder than the actual training) I made it to race week and here is how it went. Time to check the weather out and its looking hot with a worst case scenario of 24c and sunny. I hate running in anything over 15c and large chunks of training have been run a zero degrees with a windchill factor of about -7c !!! Hopefully things will change for the better a bit. I went out for a gentle 4.5 mile jog in 21c sunshine in Liverpool and into the breeze wasn’t too bad. Once the wind was behind you though the heat kicked in. Hopefully a psychological thing I can beat on the day but its deffo looking like a case of survival and just getting around in one piece. A final 4 miles in the heat and that’s it the next run will be 26.2 miles around London. So having got the train to London and landed at my Aunty in laws I treated myself to a can of lager in the stifling heat of the big smoke. Sleeping in a strange bed and it being warm (still around 19c) I could have almost have been on holiday apart from the fact I wasn’t bright red in bits, pissed and just gone to bed after a Jamon Ruffles crisp butty. 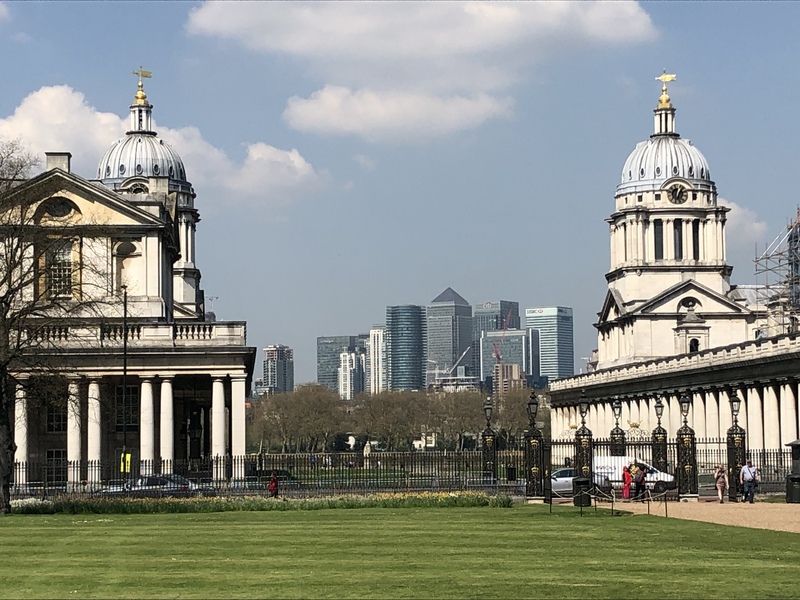 Bad news for race day and an email was received saying that Sunday could be the hottest London Marathon on record at 23c or more. Just what I need. So I headed off on the Underground which the nerd in me has a fascination with and I even bought a book a few years ago on the history of The London Underground. It was a glorious day of sunshine in London and the London Tube “Betty Swollcks” alert was at danger level. I was soon at the massive London Excel centre and had my race number and other important bits in hand. 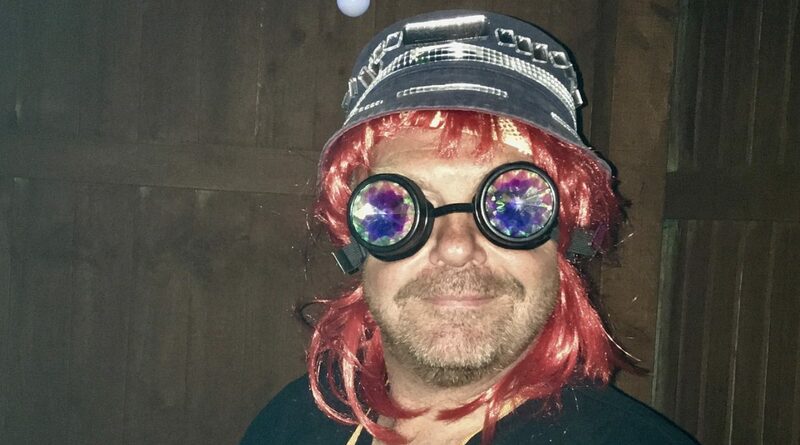 I had a little mooch around the expo and was offered a flyer from “The Ibiza Marathon” imagine trying to do that after the night I had at Space last September !!! 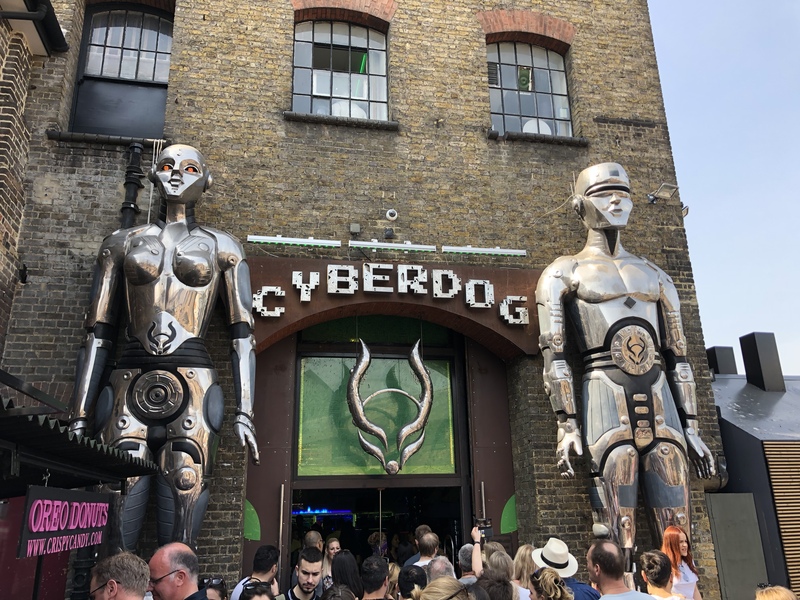 With spare time on my hands I decided to have a random day out in London. 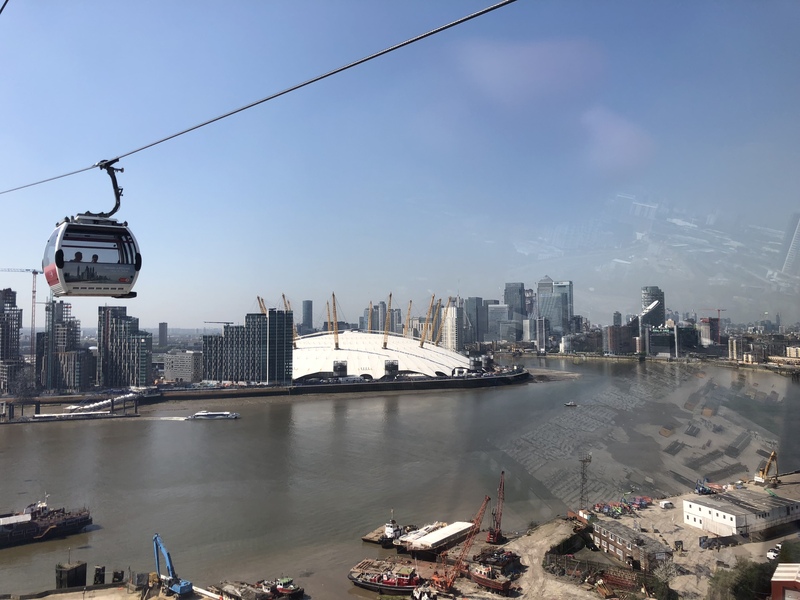 First up was the Emirates Airline cable car with a cracking view over the river and armed with my Oyster Card London was indeed my Oyster. The cable car landed me by The Millenium Dome aka O2 I had a little mooch around there and decided that as I was in Greenwich that the geography nerd in me would find the Greenwich Meridian Line. So I hopped on the 188 bus and went for it. 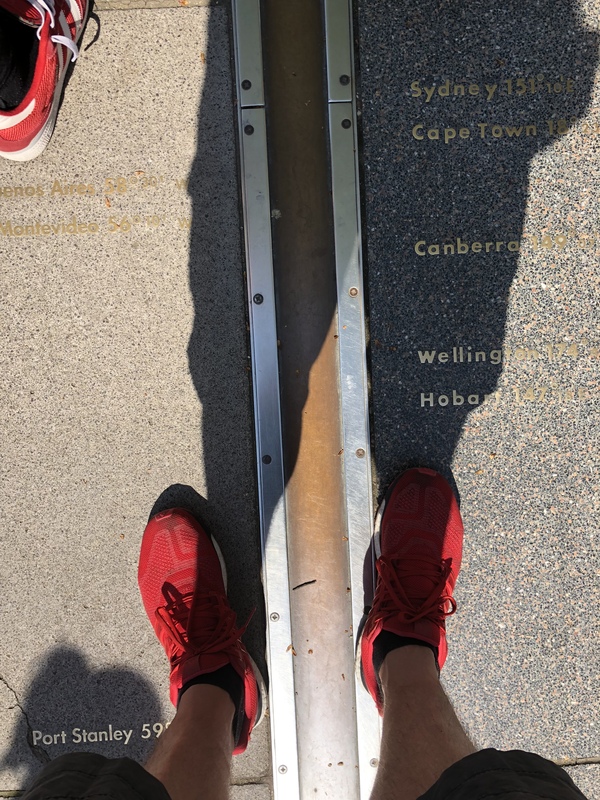 So after some mad London Traffic I reached Greenwich Park in the lovely sunshine and headed up to The Royal Observatory and nerd heaven with a picture of me straddling the Greenwich Meridian and a museum packed with clocks and measuring equipment with some astronomy thrown in as well. Being up on a hill there was. 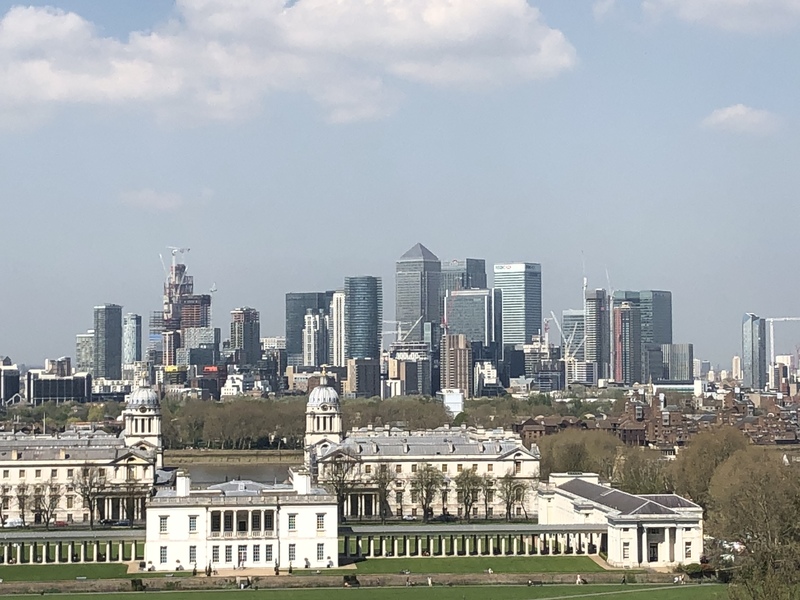 Cracking view back over The City Of London. Venturing through Greenwich Market on the way to the tube I decided to head home handy and miss the rush hour. The heat is intense and thankfully it’s going to be a bit cooler for race day but whilst at the Expo earlier I was thinking about buying a vest but them remembered that I hadn’t shaved my back for months and would resemble something like the missing link or Chewbakka so swerved that idea. 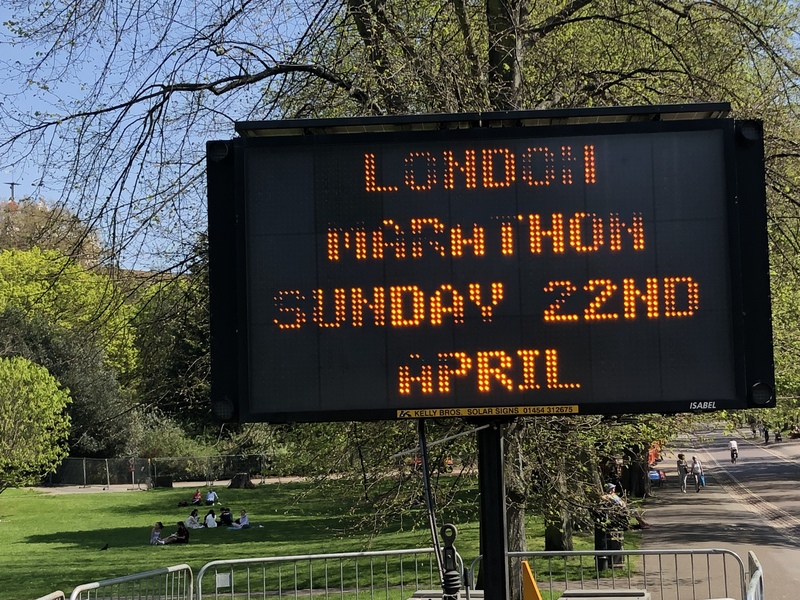 One last reminder as I walked to the tube and a warning sign for Sunday’s race. Just can’t get away from the damn thing. Back at base camp and time to chill. I was dying to get out in the sunshine but can’t risk any hint of sunburn with race day approaching. 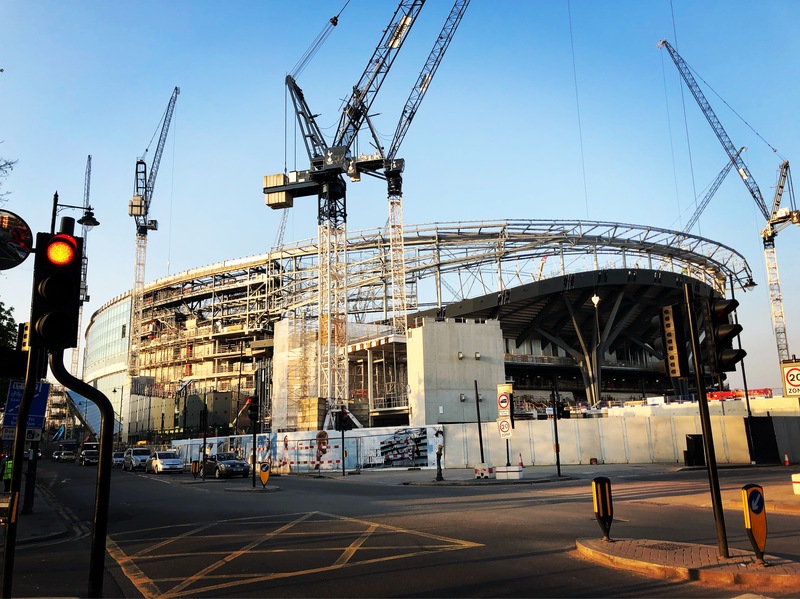 So after tea I headed out to see Tottenham Hotspur’s new ground that is being built and a lovely balmy evening walk through Tottenham. There was so much going on in the streets of Tottenham. There was a buzz to the area with many shops and corners a hive of activity. Like a super duper version of Lodge Lane but on speed. It seemed very exciting from an outsiders point of view. I tried hard not to stick out like a tourist. It was certainly a different world than the shops in Aigburth Vale. Mad how many many pockets of London have their own individual buzz to them. As for the stadium it looks massive and the area around it will change. Not necessarily for the better with gentrification and locals getting pushed out. Walking up Tottenham High Street I felt like I was in my very own “Bitter Sweet Symphony” video. 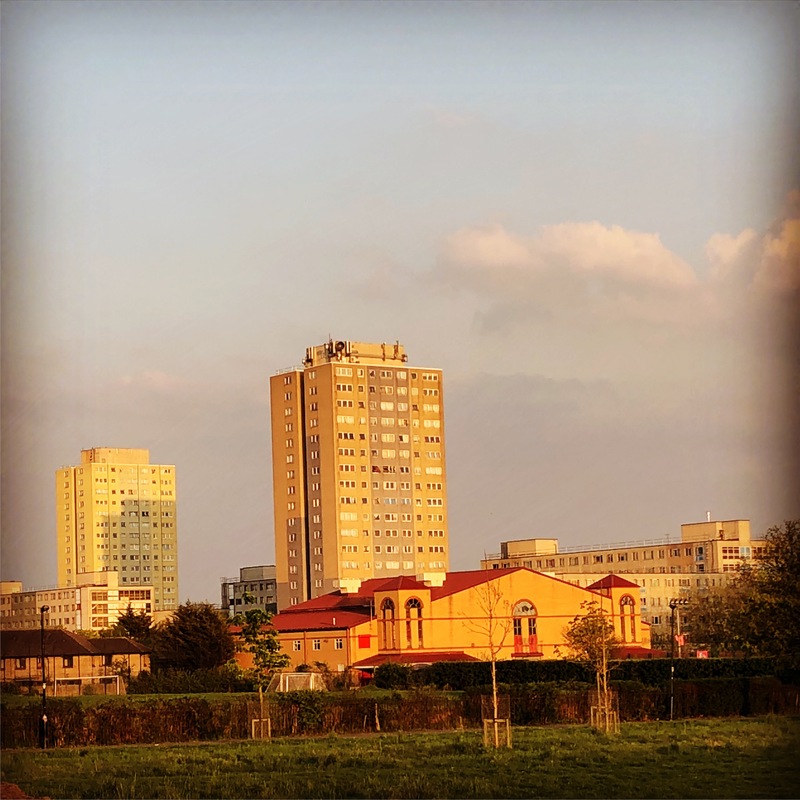 Coming back through two of Tottenham’s parks you could see some real London nor far from the new stadium. I wonder if in 10 years it will have survived. Forgive me father I have sinned. Well it was still 20c and I could not resist two Rekorderlig Ciders sitting outside watching the sun set over London. Not exactly the correct way to hydrate for the warmest London Marthon ever but it was a lovely relaxing couple of hours and I was in bed for 10pm with a pint of water. Two more sleeps. Gulp ! 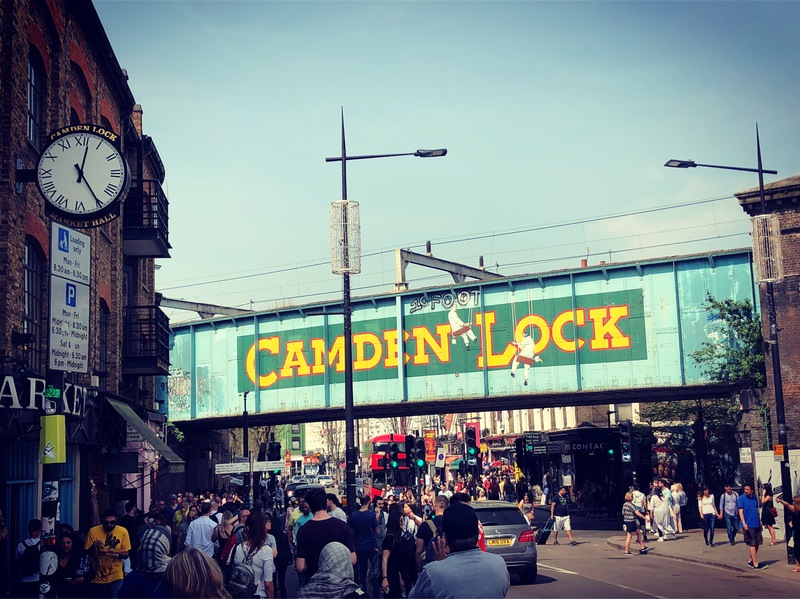 I will deffo return to Camden with Mrs Fay who missed out as I met her at Euston station after my half day out and now back at the in laws having more water and loading up on spaghetti hoops. The Aunty in law and the rest of the gang are on the grog and Tom is even taking the piss being on Desperados. So water and bed for 9 and the big one awaits. Wish me luck. I might need it in the forecast heat. So lets not forget the cause that I am running for. The challenge then grew out of control to 3 marathons in 7 weeks. With Manchester in the bag and Liverpool to finish off. Lois has cerebral palsy which effects all four limbs. She is unable to walk or support herself and her ability to communicate is limited. Millstead School aims to provide the very best learning and development opportunities for children like Lois who have severe learning and mobility difficulties. From the initial target of £500 things have gone off the scale. So much love and thanks your way.